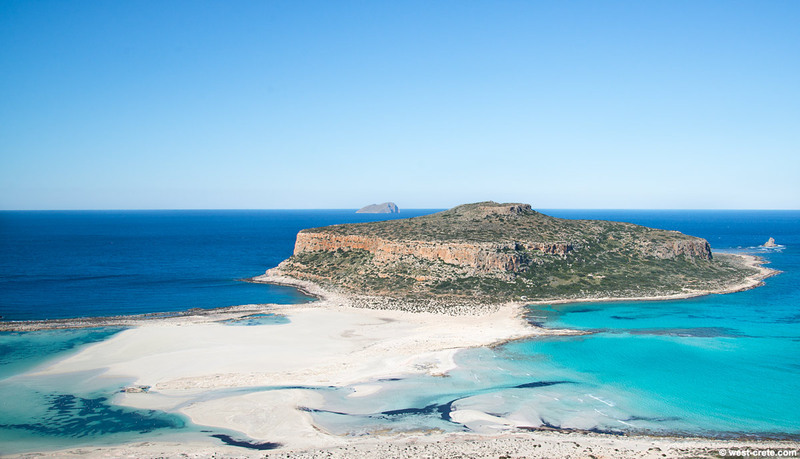 A 'classical view' of the bay of Balos with the peninsula (or is it an island?) of Tigani as you see it walking down from the end of the track that leads to the northern end of Gramvousa. Not a human in sight (actually, not even goats which was surprising) but this is in the middle of winter.